Ginger Dean faced credit card debt in college and financial uncertainty again more than a decade later when she got divorced. The reason she was able to overcome both of those financial setbacks, she says, is because of the supportive women around her. Dean, now in her mid-30s, founded Girls Just Wanna Have Funds, a group of women who meet to talk about money: Saving it, budgeting it, investing it and spending it smarter. “[Personal finance] is something that all women are doing, they just don’t talk about it openly," Dean said. 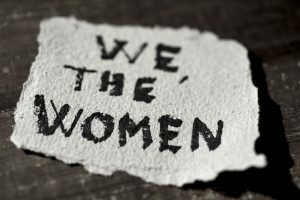 The group of more than 20 women, mostly in their 20s, 30s and 40s, meet monthly over lunch, dinner or cocktails. They share what they're doing right, what's gone wrong and often invite financial experts to their meetings. "We need women-specific advice," Dean said. "Men are taught from a young age that they’re going to be the providers so they’re focused on their career and power and wealth." "A woman may go on maternity leave or stay home and then her retirement account takes a hit, or she may have a sick parent or get divorced and her finances will take an even harder it," she said. "We have unique financial needs that men don’t have." Candace Bahr, a former stockbroker, was the first to coin the term "money club" to describe groups of women meeting to discuss their finances. "It's like a book club," she said. "The power of the group is people who want to learn. It’s people getting together and saying, 'I’ll help you, you help me.'" 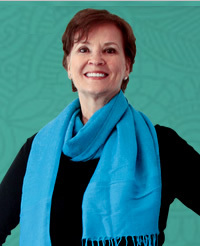 Bahr co-founded the Women's Institute for Financial Education (WIFE), described as the first non-profit dedicated to women's financial independence. "I started out as a stockbroker and had an experience where I had five women come to me over the course of about five or six months who said, 'I lost my husband and I need to learn about finances,'" she recalled. "That was a huge wake-up call for me." Bahr said she saw through her work as a stockbroker and in conversations with friends that women were not educating themselves on their own finances. "The scariest thing is people who would tell me, ‘You’re the expert. You just do what you think,'" she said. "You need to be a participant. You’re the expert in your life." "If you spend just 15 minutes a day working on your financial life, over the course of a year you’ll have spent 90 hours, or more than two full work weeks," Bahr added. When women work together on their finances, it helps them to overcome a barrier in the finance industry that is not of their own making, according to Bahr. "Women are wired for cooperation but the way the investment arena has been created is very hierarchical and competitive, and that’s not how we’re wired," she said. "It doesn't have to be that way." Sandra Grahame was one in a group of five friends who were able to decrease their debt cumulatively by nearly $50,000 and increase their salaries by nearly $100,000 over the course of a year after they made a commitment to meet weekly to talk money. "We brought our bank statements, our credit card statements and we all just laid it on the table," Grahame, now 36, recalled of the group's first meeting around 10 years ago in Vancouver, British Columbia, where the five friends lived at the time. "It was kind of scary." Each week a group member, none of whom worked in the financial industry, presented on a different topic they'd researched, from investing to how to work with a mortgage broker. The friends set goals and held each other accountable each week. "It was a level of trust," Grahame said. "I think women in a close circle of friends is really special so if you can bring the topic of money into that, which doesn’t normally happen over cocktails, it can go to some pretty great places." Grahame and her four friends were featured on "The Oprah Winfrey Show" and founded Smart Cookies, now led by Grahame, which offers online money clubs and financial education courses for women. "A lot of things are elevated when you’re surrounded by women who want to see the best in you and hold you up," Grahame said. "That’s where the magic happens." Ready to start your own money club? Here are five tips from women leading the money club revolution. 1. Find women that are like-minded but in different situations. This article was written by By Katie Kindelan and originally appeared in Good Morning America.